Angus Kennedy, the confectioner and agency client, enjoyed significant media exposure for his new book last week. 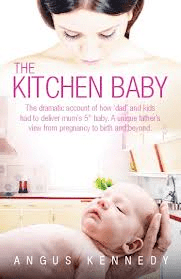 Mr Kennedy’s autobiographical new book, The Kitchen Baby, was reviewed in Female First magazine and various regional titles on Friday. The publication also interviewed the author at length. Mr Kennedy has been an agency client since 2010, and has enjoyed more than 1,000 pieces of global coverage in that time. A spokesman for Palamedes said generating media exposure for Mr Kennedy was “never problematic” given the standard of his products.